Leslie Norris was a prize-winning Welsh poet and short story writer writer. Until 1974 he earned his living as a college lecturer, teacher and headmaster. From 1974 he combined full-time writing with residencies at academic institutions in Britain and the United States. Today he is considered one of the most important Welsh writers of the post-war period. 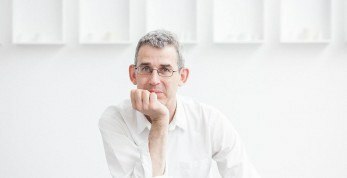 His collections of stories, including Collected Stories, and poems, including Collected Poems, have won many prizes, among them the Cholmondeley Poetry Prize, the David Higham Memorial Prize, the Katherine Mansfield Memorial Award, the AML Award, the AML Award for poetry and the Welsh Arts Council Senior Fiction Award. Leslie Norris, who died in Provo, Utah, on 6 April 2006, at the age of 85, was a poet and short-story writer perhaps better known in America than in Britain, though in his native Wales he kept in touch with a few writers such as Glyn Jones and John Ormond, whose friendship meant much to him. He came home every summer to attend conferences and festivals, in particular the Hay Festival, and to reacquaint himself with the places and landscapes in which he felt most at home. Towards the end of his life he often talked about returning to Wales, but ill health always prevented it. He had left Merthyr Tydfil, the old industrial town where he had been born in 1921, just after the end of the Second World War, in which he had served briefly with the RAF. Desperate to escape a humdrum job as a rates clerk and a town that seemed a dead end for the young, he enrolled as a student at the teacher training college in Coventry. He was never to live permanently in Wales again, though his childhood in Merthyr, the town’s colourful characters and its hinterland of the Brecon Beacons all left an indelible mark on him. I well remember his astonishment when, in 1965, he discovered that I was editing Poetry Wales in Merthyr: he turned up at my door with a sheaf of poems, which I published as The Loud Winter two years later, and thus began a friendship that was to last until his death. From 1952 to 1958 Leslie taught at schools in Yeovil and Bath and was headmaster of Westergate School, Chichester, then lectured at Bognor Regis College of Education. He and his wife Kitty, who survives him, lived at Aldingbourne in West Sussex, where the poets Ted Walker and Andrew Young were among their neighbours. The years he spent in England, during which he served as chairman of the Southern Arts Association’s literature panel, were crucial to his development as a poet, largely on account of his reading of Edward Thomas. Encouraged by Richard Church, he sent his poems to Cecil Day-Lewis at Chatto & Windus, who published them as Finding Gold in 1967 under the Hogarth Press imprint. Two more volumes appeared in the Phoenix Living Poets series: Ransoms (1970), which won the Alice Hunt Bartlett Prize, and Mountains, Polecats, Pheasants (1974). He also began publishing stories regularly in The Atlantic Monthly and The New Yorker. Having tried for several years to give up teaching, in 1973 he accepted an invitation to be Visiting Professor at the University of Washington in Seattle, and thus began an association with American universities which was to last the rest of his life. On his return to England he found himself so unsettled by the experience of America that he resigned his Principal Lectureship at Bognor Regis and resolved to earn his living by his pen. His first collection of stories, Sliding, won the David Higham Prize for Fiction when it appeared in 1978, and his second, The Girl from Cardigan (1988), won a Welsh Arts Council prize. After a second visit to Seattle, he was appointed in 1983 Christiansen Professor of Poetry in the English Department at Brigham Young University in Provo, Utah; six years later he was made Humanities Professor of Creative Writing. In Provo, where he was particularly happy, he enjoyed great prestige. I witnessed at first hand the esteem in which he was held by the Mormons of BYU when, in 1991, I was Visiting Professor there: students and staff flocked to his readings and lectures – he was among the most accomplished readers I have ever heard – and queued to buy his books at the campus bookstore. Apart from his amiable personality and serious approach to the writer’s craft, I think it was the chaste nature of Leslie’s work that appealed most to the zealous Mormons. He was criticised in both Wales and England for a lack of social awareness and avoidance of adult relationships, for seeing everything through the eyes of a boy, and for his conventional techniques. But in Mormon country, despite not being a member of the Church of Latter-day Saints, he was their laureate. And so he stuck to his last, choosing to write as an outsider, content to remain always ‘at the edge of things’, that mysterious land where the familiar and the wondrous meet, and where his poems and stories had their abundant source. The Collected Poems (containing work from his dozen volumes) and the Collected Stories of Leslie Norris were born published in 1996 by the Welsh publisher Seren.